Learn about the history of our company, our experience and what we specialize in. 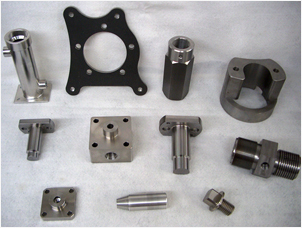 Our services include design and engineering work, CNC machining, and a range of other offerings. View some of our completed projects and see examples of our high quality work. AFAB Enterprises is a local machine shop and engineering facility located in Central Florida that can handle your metalworking, fabricate specialty fasteners, repair or make obsolete parts, electrical/electronic design and/or assembly needs. If you need to outsource small, or large, jobs look to AFAB to meet your needs. Our full-service precision CNC machining shop is capable of doing piecework by the hundreds, tens of thousands or even single items. Do you need a prototype built, or have a good idea but don't quite know how to design it? We start with a "Can Do" attitude then apply "Yankee Ingenuity" mixed with common sense to provide you with the most effective solution possible. Whether we design your prototype or you bring one to us, we can manufacture and assemble a finished product according to your specifications. Some of our manufactured products have been globally distributed. See our products page for examples. Do you have any obsolete parts or specialty parts that you can’t buy or need repaired? Please give us a call to see if we can help. Have standard fasteners that need modified to specialty fasteners? Give us a try. We are highly experienced at creating custom fasteners to meet your unique specifications. We can meet your needs. FAX or email your requirements to us for a FREE estimate, or call us for an interview. At AFAB Enterprises, we pride ourselves on being one of the most dependable and skilled machine shops Florida has to offer. Whatever your machining needs, let us help! Copyright 2010 AFAB Enterprises: Precision CNC Machining. All Rights Reserved.